Boohoo was once Manhattan's best kept secret and has now grown to become a global retailer that is pioneering the art of fast fashion. The brand's trend driven aesthetic makes the latest catwalk looks accessible, offering celebrity influenced style and cutting-edge design to all. 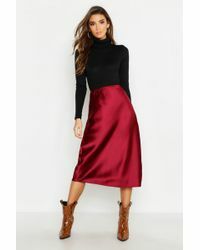 The brand has a huge turnover of looks, with more than 100 new styles available every day, which means that there's something for everyone no matter what it is you're looking for. 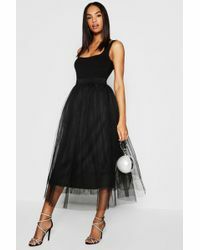 Shop the range of skirts from Boohoo for tulle mini skirts and zip front pencil skirts, striped hem pencil skirts and denim designs.